Richmond Corporate Centre is located at the corner of Cambie and Jacombs Road; the park offers excellent professionally managed landscaping, onsite maintenance, etc. Building 2 is a 37,000 sq. ft. high end office/warehouse building. (taxes and operating costs excludes insuite utilities and janitorial). 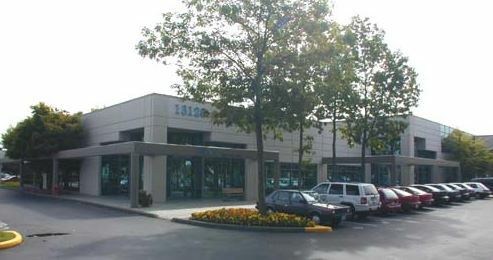 130 13,050 Office This high corporate image office & warehouse space is 13050 sq. ft. with top quality improvements including a prestigious high ceiling entrance lobby and reception with access to an impressive wood paneled corporate boardroom and a glass stairwell to the second floor office area. It also has existing network cabling telecommunications systems, server room, and amenities, such as fitness club style lockers and showers in newly renovated washrooms, and cafeteria style kitchen on the main level as well as an executive (2nd) level kitchenette.